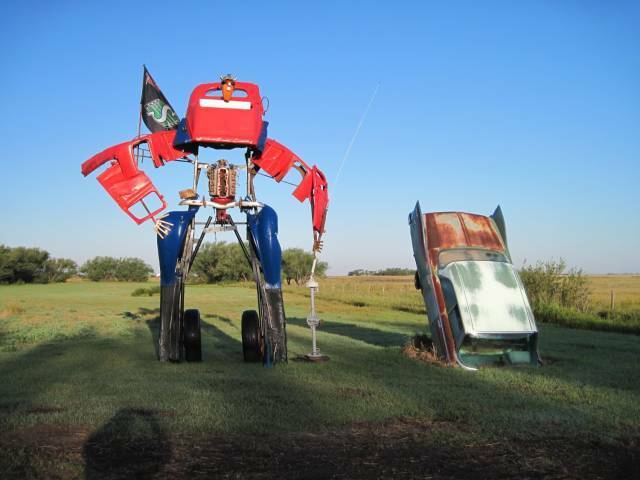 Transformer...More than meets the eye Photo Picture Classic Cars for sale & Classifieds - Buy Sell Classic Car & Classic Truck Classifieds. Tim from T&T Rods in Estevan, SK Canada turned a rusty burnt 36 ford 4 door into a transformer. It makes people look twice when they drive by. OUTSTANDING!--That's just what is needed in a gated golf community in a residents back yard facing #15th fairway. Would'n that just frost their golf "BALLS" so to speak? a scene from the newest Transformers movie?